Chiropractic is a completely natural form of healthcare, the aim of which is to stimulate the body’s nervous system in order to allow you to feel, function and live better. In order to do so, we use what we call “adjustments” to correct any problem areas in the body. By doing so, we aim to remove any interference in the nervous system, which may be giving rise to pain, discomfort or just a loss of normal function that you might be experiencing. Dr Aaron McPherson (Chiropractor) does not perform any manual adjustments (no cracking) on any of their patients, preferring instead, the non-invasive benefits that his approach (Torque Release Technique;) can offer. 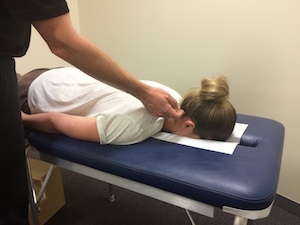 Here at Westernport Innate Chiropractic, we use a low-force, gentle type of technique known as Torque Release technique. Torque Release technique involves the use of a handheld instrument called an Integrator. The Integrator works by delivering a light tap into different areas along the spine in order to stimulate the nervous system to create change. Contact us to learn more about the special approach we use here at Westernport Innate Chiropractic.